The Yorkshire Mammoth (Mammuthus Eboracensis) is a monster that symbolizes the might of Yorkshire. The majority of the heroes of Godville have never heard of the Yorkshire mammoth. However, the villagers of Yorkshire argue that the mammoth in fact exists. 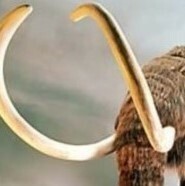 According to the Godville Administrator, legend speaks of a certain Duke who signed a contract with the Yorkshire Mammoths in order to use them as battle mounts. Unfortunately, the duke was forced to resign when his agreement came under fire by Mammoth Rights Activists and was revoked as a result. The duke was forced to resign and his whereabouts remain unknown. To this day, the Yorkshire Mammoths have traveled in pairs to search for the duke to restore the revoked contract.